PICATINNY ARSENAL, N.J. -- Col. Will McDonough is now well familiar with the airport in Oklahoma City, having journeyed there 11 times since November on his way to Fort Sill, Oklahoma, about 85 miles southwest of the airport. Fort Sill is the home to the Fires Center of Excellence, where McDonough has gathered with other members of a Cross-Functional Team that is part of the U.S. Army's modernization strategy. "In today's acquisition documents, there are frequently 10 to 20 signatures required for an acquisition strategy or transition agreement," said McDonough, who is on one of the Cross-Functional Teams, or CFTs, that support six modernization priorities that are part of the framework for Army modernization as part of the new Army Futures Command. The signature requirements through so many organizations causes bureaucratic delays of months and years, thus leading to slow modernization, added McDonough, who is on the CFT for Long-Range Precision Fires. The other modernization priorities are Next Generation Combat Vehicles, Future Vertical Lift Platforms, Army Network, Air and Missile Defense Capabilities, and Soldier Lethality. When activated, the Army Futures Command will have the overarching objective to achieve clear overmatch in future conflicts, making Soldiers and units more lethal to win the nation's wars, then return home safely. 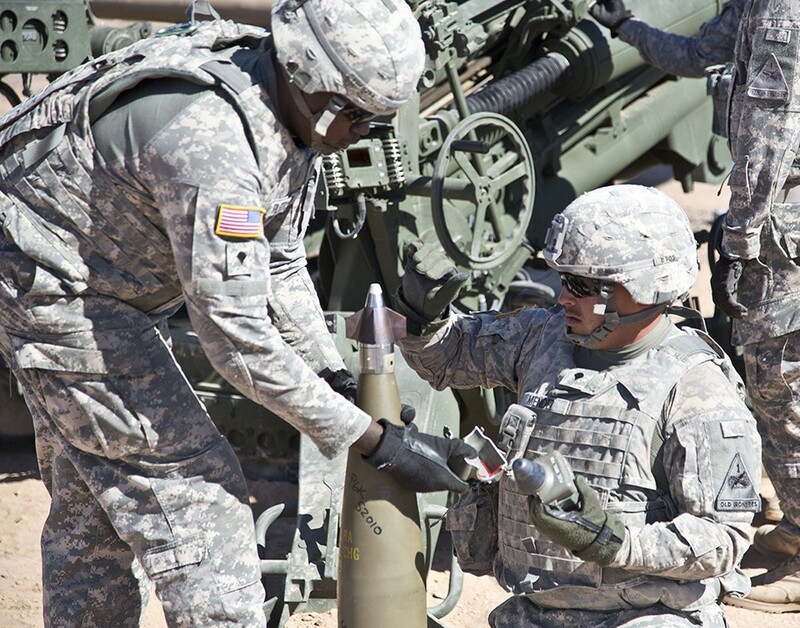 Among the goals for Long-Range Precision Fires is to modernize the Army's Field Artillery branch to ensure dominance in range and lethality. The U.S. and its multinational partners also face opponents with sophisticated integrated air defense architectures, and increased capabilities in long-range, surface-to-surface fires. "One of the things the CFT has taught me is that it's really about 'getting to we,'" McDonough said, borrowing a concept from a book on negotiating and achieving objectives whose title is "Getting to Yes." "One of the books that the CFTs or Futures Command should write is 'Getting to We' because it forces the Army to use the pronoun 'we' instead of 'I' or 'me' or 'you' and 'he.' So, there are trades and compromises that the CFT forces from the very outset of efforts, instead of later when the Army has already invested into a capability. And it's all in the name of speed, to drive down the development and the fielding times." McDonough is on the CFT for Long-Range Precision Fires by virtue of his position as Project Manager Combat Ammunition Systems, or PM CAS, which is part of the Program Executive Office Ammunition at Picatinny Arsenal. The office falls under the Assistant Secretary of the Army for Acquisition, Logistics and Technology, for which McDonough serves as a representative on the CFT. Another team member from Picatinny is Michael George, who is a representative from the science and technology community. George is an engineer at the U.S. Army Armament Research, Development and Engineering Center, or ARDEC, who leads Army Materiel Command and its subordinate organization, the U.S. Army Research, Development and Engineering Command in Long Range Precision Fires. McDonough said he was confident that the CFT would succeed in its mission in large part because of the composition of the team. He noted that the CFT Director is Col. John Rafferty, who brings a wealth of operational experience to the CFT, which ensures the programs are highly valued by the warfighter. "The CFT is not accelerating products for its own sake, it is accelerating products to increase our lethality and support the National Defense Strategy," McDonough said. "Another dynamic that is important is that also on the Cross-Functional Team is Col. Chris Mills, who is my counterpart within the Precision Strike Missile Program," said McDonough. "And so that avoids a seam between the cannon artillery community and the rocket artillery community." Having a meeting of the minds early through the CFT process also helps to disentangle the current way of doing things, McDonough said. "All too frequently in the acquisition business, it become a finger-pointing exercise," he explained. "The tester blames the PM (project manager), the PM blames the requirement writer, and the PM blames the budget folks. But the Cross-Functional Teams bring together a lot of disparate organizations, so that we deliver to the Soldiers the capability that they need, instead of trying to explain why our efforts were not successful." As part of the Long Range Fires CFT, McDonough said PM CAS can bring leadership in delivering capabilities, in addition to an appreciation for what it takes to deliver capability through the acquisition process. 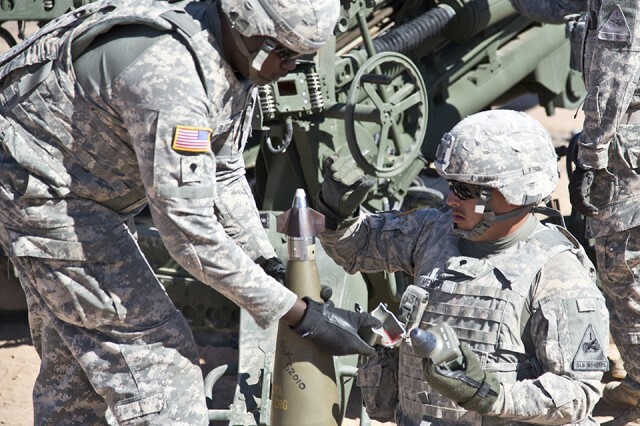 As an example, he cited the Precision Guidance Kit, or PGK, which turns 155 mm artillery rounds into near-precision projectiles. PGK transforms the current stockpile of conventional 155 mm ammunition into affordable, GPS-guided precision weapons that simultaneously reduce the logistic footprint. "We exercised the Urgent Material Release for fielding in 2013 while we continued to grow the reliability of that fuze to the point today where it's about 98 percent reliable," McDonough said of the PGK. 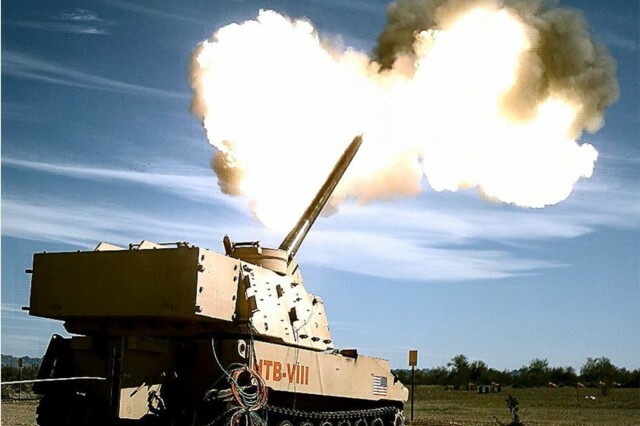 "It ended up as the preferable munition for cannon artillery, as evidenced by its heavy combat use in counter-ISIS operations in both Iraq and Syria. That's part of the model we are using to deliver a good-enough capability early, while continuing to mature the design and the manufacturing while Soldiers are using it." McDonough said PM CAS also brings a level of expertise on the performance environment for both the M777 and the Paladin families because both those platforms are teammates. "We produce ammunition to support both those platforms. The program offices are our teammates. The propellants, the projectiles, the fuzes that we make today have to be compatible with those, so we understand the environment of cannon artillery. 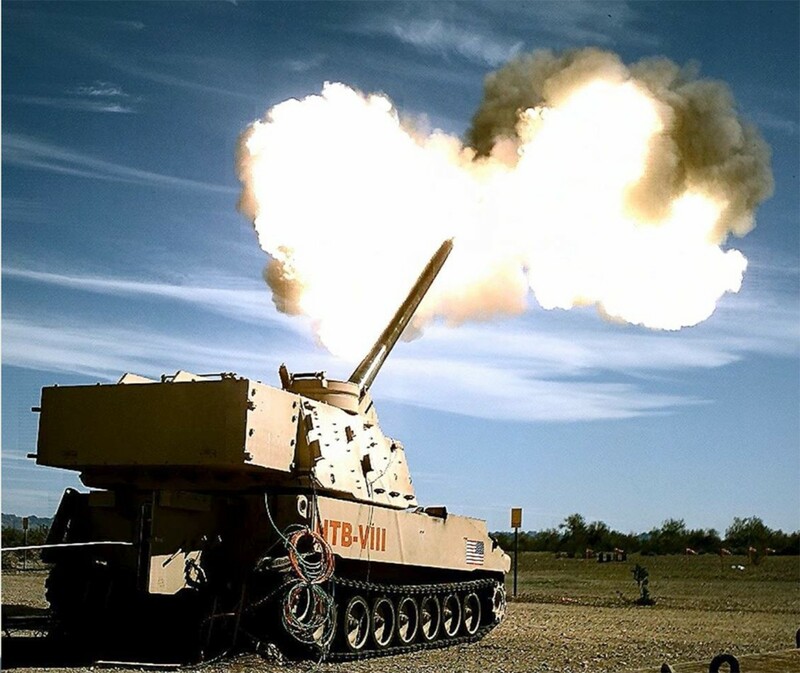 "And we are also co-located (at Picatinny Arsenal) with our science and technology community from ARDEC, which is pursuing next generational capabilities for cannon artillery." McDonough said his organization works in close collaboration on fire-control software with ARDEC for both the mortar and artillery systems. "The government owns the software and does fire control upgrades, so there is more of a closed loop than if had a contractor involved," he added. Through the CFTs, the resources and challenges needed to regain overmatch come into clearer focus, McDonough said. The colonel noted that procurement objectives for the PGK are not as far along as would be desired. "But yet we're shooting them in combat today in Afghanistan, Syria and Iraq. And we also have plans to modernize the precision guidance kit for future adversaries. "So we cannot exist in an environment where we are either producing or modernizing. We need to be producing at a much higher rate and we need to be modernizing at the same time." Although McDonough said much progress has been achieved, difficult challenges and decisions still lie ahead. "I think the CFT has just scratched the surface in realigning the priorities and the funding and the resources required to tackle the Army's top priorities. "That's where the CFTs have helped articulate priorities," he added, "which then will allow senior leaders to make the hard choices on what programs need to be cut and where we need to divest dollars and effort, to refocus." To streamline acquisition and funding, the Department of Defense Ordnance Technology Consortium, or DOTC, is a mechanism that allows for early prototyping where parties can agree on deliverables and get industry on contract faster, McDonough said. "DOTC allows for contractors and government to come to terms where the risks are still understood, but not as high as for major production programs where we are using a traditional contract," McDonough added. "The DOTC construct allows us to anticipate requirements and seek from industry their proposals before we have funding in hand," he said. "That allows us to be proactive and out in front of the requirements instead of being reactionary."